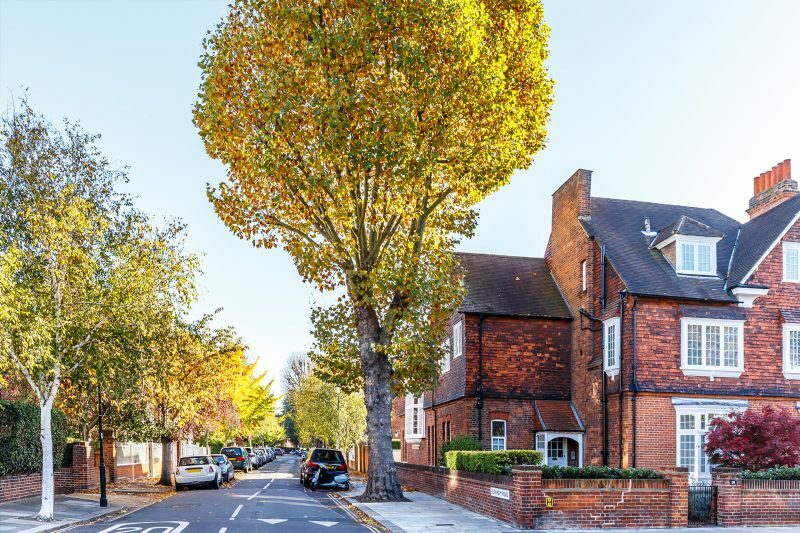 Trees that have outgrown their space are a common problem, especially in urban areas like London. They may need reducing, crown lifting or complete removal, but whatever the problem it is best to call in the experts. Experienced tree surgeons can assess the risks involved to property, both your own and neighbouring properties, and plan accordingly. Professional tree surgeons also have the equipment to do the job quickly and efficiently. DIY solutions can cause further problems to the tree and can be dangerous. When considering any type of tree surgery cost is an important factor and this is reflected in the price. Toby, the owner of Take A Bough Tree Care can offer expert advice and discuss the costs involved. There are various factors which influence the cost of tree removal and pruning, including both the height of the tree and the variety. Some species are simply easier to handle than others, and this is reflected in the price. If a tree is overhanging a public space, such as the footpath, or a neighbour’s property additional care must be taken which can have an impact on the cost of the work. Professional tree surgeons routinely check for Tree Preservation Orders as removing a tree with a preservation order is illegal and any work requires the written permission of the local authority. Finally, removal of waste is also likely to push tree felling costs up. Though you might expect tree surgeons to automatically chip the branches and trunk, many companies will charge for this as subsequent disposal of the waste is expensive. Depending on your circumstances, the cost of your project could range from a few hundred pounds to several thousand. Due to the expense of such a job, it’s a good idea to research local tree felling companies properly and ensure you get quotes from legitimate companies. Employing an experienced tree surgery company ensures that your tree will be dealt with efficiently and safely, Take a Bough Tree Care can also suggest and plant suitable replacements, or in the case of a crown lifted or pruned tree agree a suitable schedule of continued maintenance giving you peace of mind. Take A Bough Tree Care work in the following areas – the London Boroughs of Wandsworth, Lambeth, Hammersmith and Fulham, Kensington and Chelsea, Merton and Kingston as well as the towns of Battersea, Clapham, Putney, Earlsfield, Southfields, Wimbledon, Stockwell, Roehampton and Streatham and. Elmbridge Borough which includes Esher, Claygate and Surbiton. If you need any help or advice regarding the cost of tree surgery, Toby will be delighted to assist you, free of charge..